I like Bruce Springsteen; especially his later work. Specifically the handful of folk albums he has produced over the last several years starting with The Ghost of Tom Joad in the early 1990s and more recently Devils & Dust and We Shall Overcome. His E Street stuff isn't nearly as interesting, but I'll listen to it too on occasion. The Boss has a new song--I think he did the entire soundtrack--for the film The Wrestler and it is perfect. It has a deep sorrow and melancholy of working class angst and struggle. It tells a story that anyone can relate to, and more importantly it gives a little light to the human soul. Take a listen. It's really pretty great. I’m a sucker for three things. The first is a cleverly plotted 1980s thriller. The second is a private eye novel. The third is any story that features shrewdly evil Nazis. 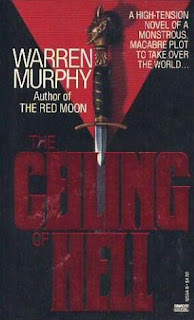 It’s not often to find all three packaged neatly together in one story, but that’s exactly what Warren Murphy did with his 1984 Shamus-winning novel The Ceiling of Hell. Steve Hooks is a former Secret Service agent and presidential bodyguard. He was wounded in the service and his wife was put in a coma. He left the service to start his own private security agency and while it looked good on paper his client list is shockingly short, so when a former co-worker—Robert Pardin—refers a German academic to Hooks as a bodyguard he can’t turn it down. The German’s name is Professor Edward Kohl and he makes his living hashing up bad memories about the Third Reich. And there are more than a few groups that would like to silence his voice. The job doesn’t go as planned. Professor Kohl is killed in his hotel room and Hooks is knocked cold. Before Kohl dies he asks Hooks to help him find a German girl who reportedly immigrated to the United States at the end of the war. The professor doesn’t have anything except her name: Anna Mueller. Hooks doesn’t think much of it until Pardin contacts him and asks him to—unofficially—go to Germany to give condolences to Kohl’s family and investigate the German side of professor’s murder. It doesn’t take long for Hooks to realize he’s into something much larger than he first thought. He is kidnapped, intimidated and basically wants the hell out. Unfortunately the trouble follows him back home and what he discovers is more than a little unsettling. In fact, it very well might be the beginning of the Fourth Reich in the United States. The Ceiling of Hell is an interesting mix. It is a private eye novel, but it isn’t the standard fare. The protagonist doesn’t fit the hardboiled mold and the story line is a mixture of a sleek thriller, an inventive adventure tale, and a straight-up mystery. There is plenty of action, and more than a few twists. The protagonist is likable and more than capable. The prose is swift and clean. The plot is perfectly played. And just about everything else about the story is clean, smooth and entertaining. The real story is the mixture of genre—even related genre—into the novel. It gives The Ceiling of Hell a certain sparkle and originality that it otherwise wouldn’t have. It takes the novel from the entertainingly escapist fare to the next level. It showcases Mr. Murphy’s talent and skill as well as his inventive and subtle humor. The Ceiling of Hell is a real treat. It is been out-of-print for twenty or more years, but it is very much worth scouring a few used bookshops to find. It was originally printed in 1984 by Fawcett Gold Medal. The Attraction is a mass-market paperback released by Leisure Books in 2006. It contains two novellas. The first is the title piece, "The Attraction" and the second is titled "The Necromancer." "The Attraction" is the better of the two stories; it is a straight forward slasher-type horror yarn (I've always wanted to use that word) that reminded me more than a little of a high quality slasher horror film mixed with something Richard Laymon would have written. The description and location is spot on: As I read it I could feel and smell and the desert heat. The Attraction is probably the last Clegg title I've read and yesterday when I bumped into the trailer on You Tube, I had to ask myself why? He's a pretty damn good writer and while his current vampire series doesn't intrigue me most of his early work is really terrific. This is pretty great. It's a clip of Joe Lansdale reading part of a short story--"Dirt Devils"-- from a new collection titled Sanctified and Chickenfried. Annja Creed is an archaeologist and television personality on the cable television series Chasing History’s Monsters. She is beautiful, talented and damn near everything the television audience wants—unfortunately her stubborn search for truth, rather than sensation, keeps her producer on his toes. Rogue Angel: Destiny is the first in a new series written by Alex Archer, and if beginnings mean anything, this series is going to be something special. The novel opens with Annja in rural France searching for the legendary Beast of Gevaudan—a werewolf-like creature reputed to have killed nearly one hundred people in the three-year period between 1764 and 1767—when she stumbles across an ancient charm that is more than it seems. She is immediately embroiled in an escalating battle between an ancient sect of monks and an occultist profiteer who will do anything to get the charm. Annja is cast in a web of intrigue, mysticism, and history, that promises to do more than pique her intellectual curiosity; it very well may be her end. Rogue Angel: Destiny is billed as science fiction, but that is a misrepresentation. It is all adventure with a dash of light fantasy. The plot moves along quickly and is kept interesting with a complex storyline. The action scenes are sharp and brutal—Annja is able to take on multiple foes and dispatch with them ease. In the end, Annja Creed is the story. She is immediately likable with her calm intelligence, competence and grace under pressure. She is a superhero who will be liked by both men and women. In a word, she is cool. If you enjoy a good thriller, a rerun of Buffy the Vampire Slayer, or a breezy and quick read, Rogue Angel: Destiny is your ticket. This review originally posted at SFReader March 2007. Alex Archer is a Gold Eagle house name used for the Rogue Angel series. Rogue Angel: Destiny was written by Mel Odom. Summer 1963. 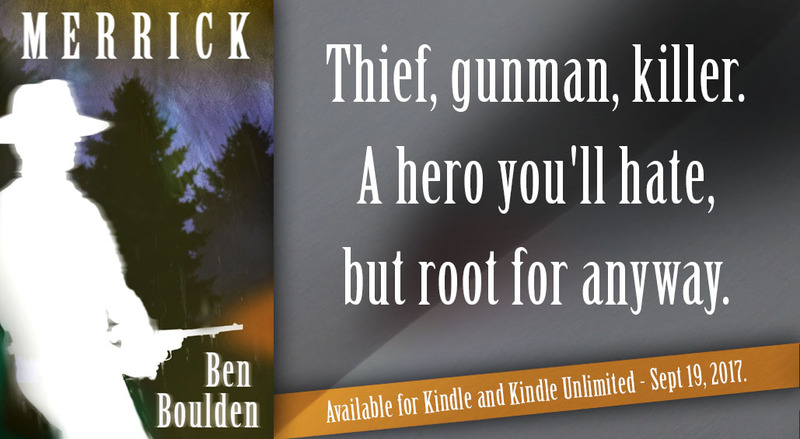 In suburban Black River Falls, Iowa, there's more than just politics behind a troubled judge's decision to have private investigator Sam McCain probe a blackmail scheme involving a powerful senator's daughter, Lucy, and David Leeds, the black student she was dating. When the blackmailer, a shady photographer named Richie Neville, and David are found murdered, local cops assume it was racially motivated. Sam suspects, after finding wads of cash and damaging photos of other victims, that perhaps the only intended victim was the extortionist shutterbug. I read and reviewed Fools Rush In shortly after it was released. To read the review go Here. For those of you unfamiliar with Worldwide Mystery, the books are not available from brick-and-mortar bookstores or even Internet booksellers, which is a severe limitation. There are only two ways to acquire the books: 1) join the Worldwide Mystery club; 2) purchase the titles individually on Worldwide's website. The most practical and certainly least expensive option is to purchase Worldwide titles individually. At least that is what I have done in the past. I don't like the idea of the book club route simply because I don't necessarily want all of the titles offered by Worldwide or any other publisher for that matter. Fools Rush In is definitely worth owning, and the mass market edition is an inexpensive route to add it to your collection. And it gets better. If you have never ordered from the Worldwide website you can get an instant $4 discount on your first order. Which takes the price of the book down to $0.79 + $3.00 shipping and handling. Not bad, at least in my world. And the cover art is pretty cool, too. 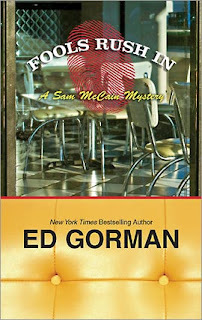 And yes, I know Gravetapping is dangerously close to slipping into the role of unofficial Ed Gorman fan club. But hell. I love his work, and the Sam McCain novels are something special. A personal update is needed here to explain that posts, while hopefully no less frequent, are going to be a little less predictable. At least as far as when they are posted. I started graduate school Jan 5. I have two classes along with a fulltime job. I’m busy, but so far not outrageously busy. I try to get three posts up per week. The key word here—as you’ve probably noticed—is try. This isn’t going to change. I still plan on three posts per week and hopefully at least one a review of either a short story or novel. The others will range from films to anything else that catches my fancy. So come back often, and hopefully there will be something new. And to dangle a carrot, I’m hoping to get a review of Warren Murphy’s Shamus Award winning novel The Ceiling of Hell posted this weekend sometime. It’s no surprise to the conscious reader that we’re smack in the middle of a crime noir revival. The old stuff is new again, and there is a whole lot of the old stuff that is pretty damn good. Hard Case Crime is a big time New York house that is publishing old titles and new in the hardboiled tradition, and there are also several smaller houses focusing on classic crime fiction. One of the better—at least that I’m familiar with—is Stark House Press. Stark House has been bringing older titles back into print over the past few years in high quality and handsome trade paperback editions. All of the Stark House editions have at least two novels, and every so often there will be a bonus third novel. Stark House has released titles from the 1950s, 1960s, 1970s and 1980s. A few of the classic authors are: Malcolm Braly—Shake Him Til He Rattles / It’s Cold Out There; Gil Brewer—Wild to Possess / A Taste for Sin and A Devil for O’Shaugnessy / The Three-Way Split; Day Keene—Framed in Guilt / My Flesh is Sweet; Stephen Marlowe—Violence is My Business / Turn Left for Murder; Peter Rabe—there are five titles here with two novels per. There are also several contemporary authors including early novels by two of my favorite writers: Bill Pronzini and Robert J. Randisi. But really, these books are great. This is a review I originally published on Saddlebums September 14, 2007. As the title suggests it follows the exploits of the men and women who came to the legendary mining town of Deadwood. It is a terrific Western and, if you don't already know, Mike Jameson is a pseudonym of James Reasoner. Mr Reasoner is an impressive writer. His output is phenomenal and the quality of his work is always high. The fourth in the series The Troopers is scheduled for release March 3, 2009 and if the first three are any indication it will be terrific. 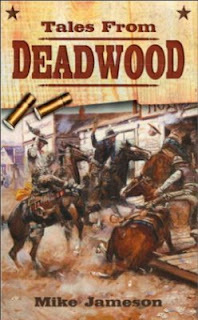 Tales from Deadwood is the first in a series of three novels featuring a lavish mixture of dime-novel mythology, historical fact, plenty of action, and a whole lot of the Old West, which sums to an original and fresh novel. It chronicles the lives of several men and women who make their way to Deadwood, South Dakota in search of wealth on the newly discovered gold of the Black Hills, including all of the regular players: Wild Bill Hickok, Charley Utter, Al Swearengen, Calamity Jane; and a few new ones as well. Dan Ryan is the central character in the story, and the novel opens with him defending a wagon train from an Indian attack. He, along with the other men in the party, repel the attack, and Dan makes a new friend in the process. He and Bellamy Bridges decide to partner up, and when they finally reach Deadwood they purchase a claim. The relationship between Dan and Bellamy—plus a few whores, a madam, a gambler, and an old general—is the main storyline, but it isn’t the only storyline. The other plotline follows Wild Bill Hickok and his entourage as they travel from Cheyenne to Deadwood. Wild Bill doesn’t make it to Deadwood before the end of the novel, but Mr. Jameson does an admirable job of painting him as a strong, courageous, patient, and kind man who protects his friends and shows uncommon patience with his admirers. Tales from Deadwood is not a rip-off of HBO’s Deadwood, but instead it is story that stands on its own merits—the characters are portrayed significantly different, and the storyline focuses on places and people the television series does not. 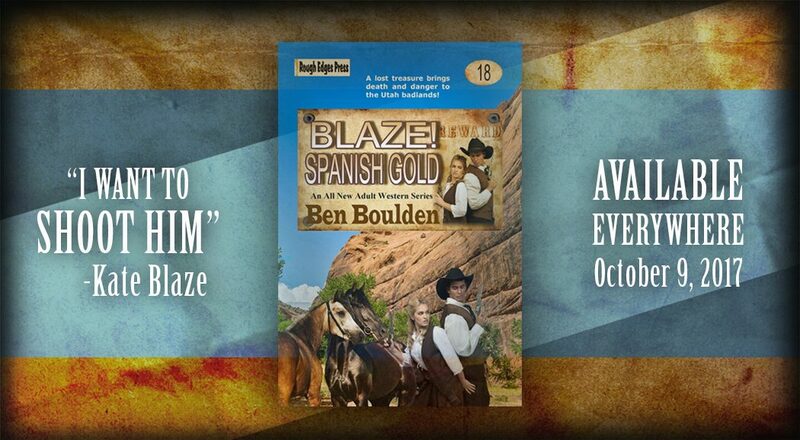 It is a traditional western with enough action, lore, and suspense to please the core readership of the genre, but the characters and simple, sparse prose is done with the economy and expertise that will also appeal to nearly anyone who enjoys a well-told tale. My wife and I saw Clint Eastwood's Changling last weekend at the bargain theater; we still call it the dollar theater, but it costs a bit more these days. I wanted to see this film when I first saw the trailer several months ago, but it had a very limited release locally. One of the reasons I wanted to see it was, it was written by Babylon 5 creator J. Michael Straczyinski. It didn't hurt that it was directed by Eastwood. A guy who can seemingly do just about anything in the film industry. Changling is a well executed period piece that is more social commentary than mystery, but it is an interesting, entertaining, and poignant film. The cinematography is beautiful, the direction is quite good, and the acting is more than adequate. In fact, this is one of the first films that I have really enjoyed Angelina Jolie. Changling is worth a look, and I can't wait to see Clint Eastwood's latest film Gran Torino. It is being favorably compared to John Ford's classic The Searchers. 2008 was a tough year on mystery writers. It opened with the death of short story specialist Edward Hoch, and then in close order he was followed by Gregory Mcdonald, James Crumley, Tony Hillerman, and now very recently Donald E. Westlake. I’m a fan of each of these writers and I was saddened and reminded how damn unfair life is, especially the death part. The last writer to die in 2008—Donald Westlake on New Years Eve—was one of the true masters of the genre. He came of age in the 1960s and Mr Westlake pretty much wrote it all. He started his career writing confession stories and moved on to short fiction and then novels. 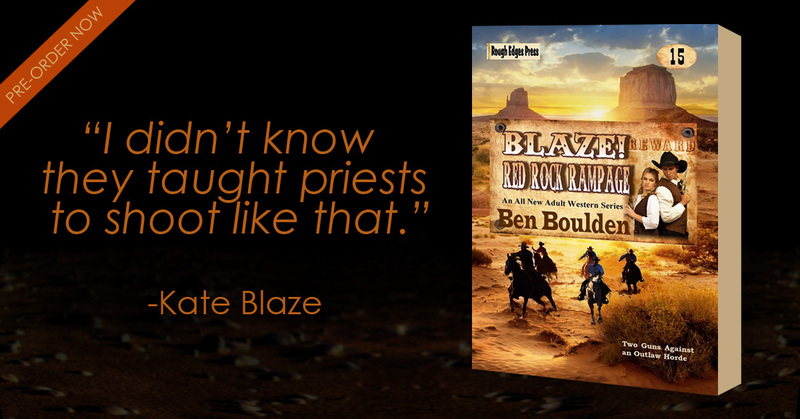 He wrote in just about every genre, but he found a home in the mystery arena. His work ranged from the hard and humorless Parker novels to the witty and downright funny Dortmunder series. And he wrote a whole lot in between. 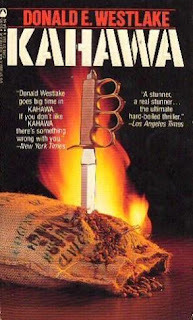 I was first introduced to Westlake’s work in the early-1990s with his adventure story Kahawa—a novel that is a mixture of fast and sleek action, suspense, and more than a little wit and humor. I moved on to the Parker novels and then found one of his best novels: The Ax. I have three copies of The Ax; two mass markets and one hardcover. You can’t have enough copies of a Westlake novel. Mr. Westlake’s work speaks for itself much better than I do and I know I’m a little late on this, but I wanted to put my two cents in. Donald Westlake was a writer, a storyteller, and damn good at both. His work will be missed and I know that what he left behind will be read for years and years. At least they will be at my house. A toast: To all the wonderful entertainers we lost in 2008. To Don Westlake, Tony Hillerman, James Crumley, Gregory McDonald, and Michael Crichton. I hope heaven--of such a place exists--is a bookstore and library fashioned as one. And if it is, I know the work of these fine gentlemen will be in stock. Click Here to listen to interviews on NPR's Fresh Air with Donald Westlake from 1988 and 1997. 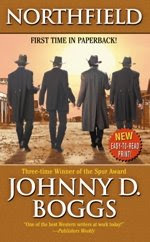 The James-Younger gang has been done too many times in modern Western fiction, but Johnny D. Boggs has found a fresh perspective in his novel Northfield. It chronicles the events of the Northfield, Minnesota raid that claimed the lives of two gang members and saw all three of the Younger brothers jailed. It is the story of the downfall of the gang. It is written in multiple perspectives; the opening and closing scenes are in the voice of Cole Younger, and each chapter between is in the voice of an eyewitness to the events. The narrators include all of the gang members—Frank and Jesse James, Bill Stiles, Clell Miller, Charlie Pitts and Jim, Bob and Cole Younger—as well as a large assortment of witnesses including a prostitute, the former Governor of Mississippi Adelbert Ames, an innkeeper and the boy who first saw the Younger brothers limping out of Minnesota. The style is noticeably different for each narrator; at times it is subtle with stronger and different word choices and other times it is a hard and distinct shift from literate to less literate and even near illiterate. The story sprawls across the pages with a vivid recreation of the events. Johnny D. Boggs does not make a moral judgment on the players. The gang is portrayed with an astonishingly effective blend of villain and common man. They are not necessarily good men, but neither are they bad men. The Youngers, specifically Cole, are humanized and made more real than I have experienced them before in film or literature. The James brothers are viewed less favorably, especially Jesse, but even they are viewed as whole people and not cardboard folk heroes or black-hearted villains. The story is familiar—I know how it ends before I read the first page—but Boggs style and eloquence make it interesting and more than readable. “Seven minutes…seems like seven lifetimes. It is, however, the separation of viewpoint that gives the narrative its power. It is a piece that rings true; perhaps someone who knows more about the story and subject can find fault, but to my eyes it is damn close to the correct version. The characters are alive and the story is stirring and vivid. Northfield is an excellent novel that should get more attention than it has. It is not a shoot-‘em-up Western, but rather a contemplative and fine example of how good the modern Western novel can be and often is. Jane Whitefield is in retirement. She married a surgeon, changed her name, and has worked diligently to keep her past behind her. A past that was dangerous yet fulfilling. She helped people disappear. Every one of them was in trouble and while not all of them were necessarily good people none of them deserved to die. Her new name is Jane McKinnon and the world she has built is threatened when a young pregnant girl finds her at a hospital fundraiser and asks for help. Jane can’t turn the girl down. It might be that she is pregnant, but it’s probably because the dangerous group pursuing her set a bomb in the kitchen of the hospital as a diversion to get the girl out. Jane faces the group of six—two women and four men—who are chasing the girl in the parking lot of the hospital. She puts one down with a fierce attack and then beats it out of there in her Volvo sedan. She doesn’t have time to think about what she is doing. She just does it. The old ways kick in and Jane’s only concern is to get the girl to safety. That means a new identity, a new city, and a new life. Unfortunately for both Jane and her client nothing goes quite as planned and this job gets very personal for Jane Whitefield. Runner reminded me how good a well-crafted thriller can be. It was very much like what David Morrell was writing in the late-1990s—Double Image, Extreme Denial, etc—but it has its own voice and style. Mr Perry is a terrific storyteller and if Runner is an example of his work I can’t wait to get my hands on more of it.